Home / Andy Cole / Cadbury / celeb / football / malaymail / manchester united / Premier League / sports / Football legend Andy Cole visits Malaysia! Football legend Andy Cole visits Malaysia! Andy Cole, a former professional football player and an overall legend in the world-renowned sport, paid a visit to Malaysia today for an event at Empire Damansara. 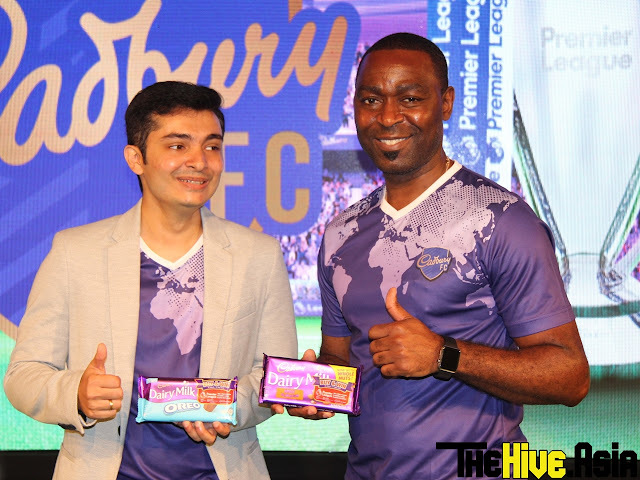 The 47-year-old English man was present during the Cadbury and Premier League partnership launch to officiate the event, making it its first time for the two brands to partner outside of Britain. The football legend expressed his gratitude for being chosen as the ambassador for the collaboration of these two brands. People in attendance of the event included fans of the football star and were quick to ask more about his football career, as he famously played for Manchester United back in 1995 until 2001. When asked about his views on the current Manchester United squad, he simply said that despite their recent Champions League performance, the team is slowly trying to get back on track in the Premier League which is a good thing. "I'm going to be biased and say that I played in the best era of football with some really good players in the team; so yeah, my days were a lot better," he joked. Cole, who also played in the English national team, had to undergo a kidney transplant last year after suffering from kidney failure and has since enjoyed and lived life to the fullest. "I'm just enjoying life as much as I can right now like coming here to Malaysia and meeting you guys; because you never know what might come," he said. "I'm looking forward to try the local food here because that is all I hear about when in Malaysia," he replied when asked about trying local cuisines here. Cole was an English striker who scored the third-most goals in Premier League history with 187 goals, placing him behind Wayne Rooney and Alan Shearer who scored 208 and 260 goals respectively. Currently, he is retired after a 19-year career in football, starting from his days in Arsenal in 1989 all the way to Nottingham Forest in 2008.